Showers are great, but pouring hot and almost drinkable water down the drain is not. Besides the obvious costs to the environment and your bills, there is also a conscious on unconscious psychological cost any time you create waste. To solve this problem we created Showerloop. 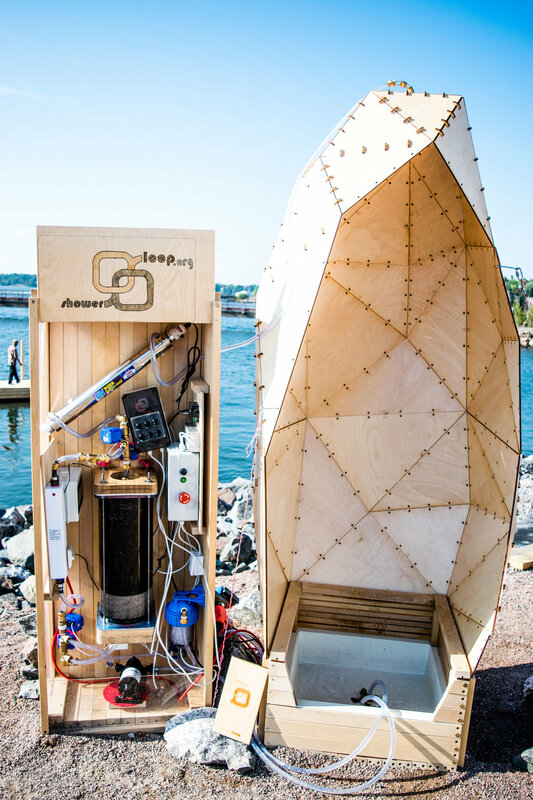 It's a shower that collects, cleans and reuses the water in real time while you are showering. So now you can shower for as long as you like but with a reduced ecological impact. What is the showerloop project ? 90% reduction in water usage and 70-90% in energy reduction for a 10 minute shower with a flow rate of 10 l/min. Savings are dependant on user behaviour and can vary. Use Just one bucket of water for a shower of any length. See the savings section for more information.